Eminem is one of the most famous American rappers in the world, he has had numerous prolific hits that have topped the charts and is renowned for his controversial lyrics that have led to him becoming hugely popular. 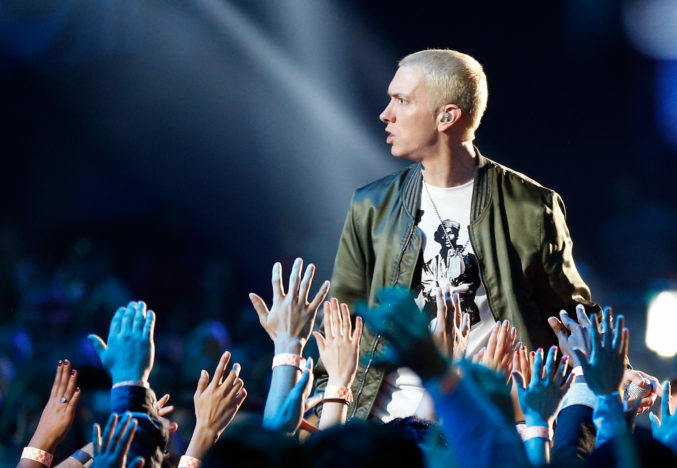 Since he became popular in the late ’90s, his lyrics and personal life have been scrutinized and picked apart for details of what exactly makes Eminem, ‘Slim Shady’. Who is Eminem, how old is he, when is his birthday, how tall is he and what is his background? He is 45 years old and was born on October 17 1972, in St. Joseph, Missouri. He is 1.73 metres tall. He is an American rapper and is of English, German, Scottish, and Swiss-German descent. Why is Eminem famous and what is his occupation? The American star is famous for his rapping ability, controversial lyrics, and for his colossal album sales, selling over 100 million copies worldwide. He is a professional rapper, songwriter, producer, and label executive. He is widely considered to be one of the greatest rappers of all time. What is Eminem’s net worth? Given his vast album sales and long-standing career, it makes sense that his net worth is a massive $190 million. How much does Eminem earn? The rapper’s live concerts are well attended, and he earns, on average, $5 million per show. In 2015 alone, he made $31 million from sales and shows after taxes. The amount he makes varies depending on his tour dates and whether or not he has released a new record. The star currently resides in Rochester Hills, Michigan, but has recently put his house up for sale. What is Eminem’s real name? His real name is Marshall Mathers, and he named his 3rd album, The Marshall Mathers LP. Is Eminem married, was he married before, why did they split up, who has he dated? He is currently not married, although he married Kim Scott twice, once in 1999 and once in 2006, briefly. They first split up because of the stress that his newfound success put on their marriage. She was also deeply hurt that the rapper continued to perform songs he wrote fantasising about murdering her (the songs Kim, ‘97, Bonnie and Clyde). Their second marriage ended after four months in 2006 as they both realised it was a bad idea to get back together. Eminem has been romantically linked to Mariah Carey, Gina Lynn, Brittany Murphy, Britney Spears, Skylar Grey and Tara Reid. What happened to Eminem, why did he stop making music? The Stan hitmaker stopped making music for a period of time between 2005 and 2008, partly because he wanted to immerse himself in his role as the owner of a record label and producer, and also reportedly due to his ongoing problems with prescription medication abuse. He received help with his addictions from Elton John, and as of 2017 he is clean and sober. What did Eminem say about Trump, what is he doing now, is he releasing new music? In February 2017, he did a guest verse on Big Sean’s song No Favours calling President Donald Trump a b*tch. Later in the year, he participated in the 2017 BET Hip Hop Awards annual cypher, to which he contributed a freestyle rap called The Storm. Eminem called out Trump for being more concerned with NFL protests than helping hurricane victims in Puerto Rico, and his views on gun control. How many children does Eminem have, what are his children called? He has one daughter named Hailie and has had legal custody of ex-spouse Kim’s daughter, Whitney, from a previous relationship, and Alaina, the daughter of Kim’s sister, Dawn. How many Grammys and awards does Eminem have? 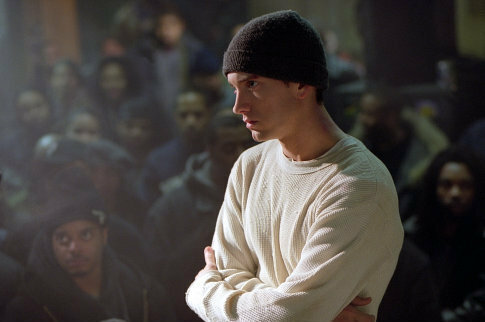 Eminem won the 2002 Academy Award for Best Original Song for his hit Lose Yourself. He has 15 Grammys, and numerous accolades from hip-hop magazines such as Vibe Magazine, whose readers voted Eminem the best rapper alive in 2008. In total, he has been the recipient of 305 various awards and been nominated for 727. What are Eminem’s biggest songs and albums, what was the first song that Eminem released, how many number ones has he had? 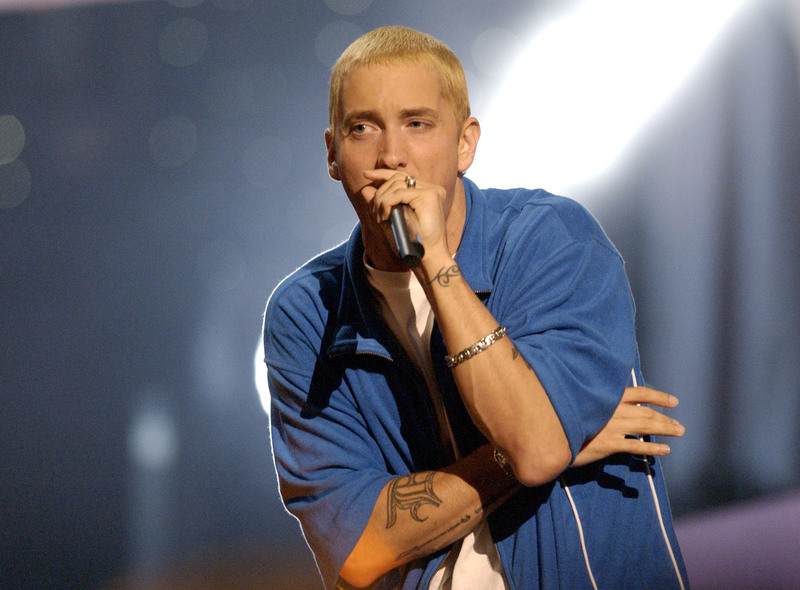 Eminem’s first official release was his indie album Infinite in 1996, but it was a commercial flop. His first successful single was the Dr. Dre-produced My Name Is released in 1999. The single remains one of his biggest hits. Eminem has had a total of 13 number 1 Billboard hits. Other hits include: The Real Slim Shady, Guilty Conscience, The Way I Am, Without Me, Love The Way You Lie, Stan, Lose Yourself and We Made You. His biggest albums are: The Slim Shady, The Marshall Mathers, Relapse, The Eminem Show, Encore, and The Marshall Mathers LP 2.